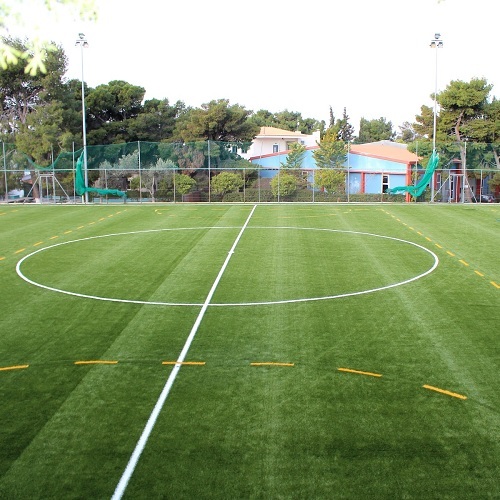 One (1) F-11 soccer field, 11X11 players dimensions: 96x54m) with brand new artificial turf model Prestige XM6 60-13, FieldTurf® by Tarkett Sports. 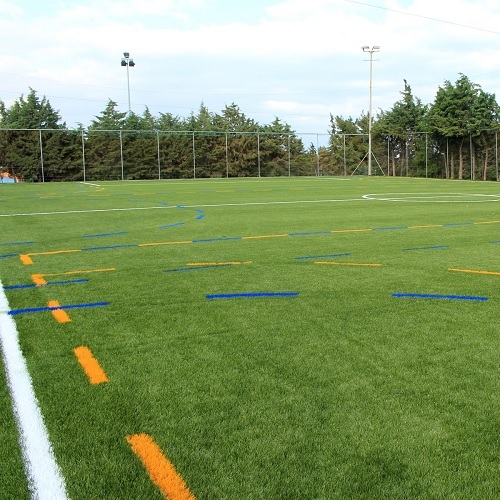 One (1) F-7 soccer field, 7X7 players (dimensions: 55x35m) with brand new artificial turf model Prestige XM6 60-13, FieldTurf® by Tarkett Sports. The integrated Prestige XM6 60-13 turf constitutes both F-11 and F-7 fields suitable for high-end, demanding soccer matches and leading soccer training. Furthermore, the Prestige XM6 60-13 artificial turf is very similar to natural grass, minimizing sports injuries while showcasing high endurance in all weather conditions. The turf's fibre is a thick yarn Polyethylene with less cuts made to the fibre in the manufacturing process so that it can withstand very heavy usage and still deliver the performance you expect from a FieldTurf. The “CHRISTOS THODIS” Loutraki Municipal Stadium (soccer field with grass carpet and 6 lanes track of soft surface, with the needed equipment for all jumping, throwing and track events).